The mission of the Chattanooga Boys Choir is to positively influence and develop the lives of boys by providing a music program of the highest quality, which includes education, appreciation, and performance. This spring, members of the Handel, Concert, and Cantabile choirs will travel to Nashville to present workshops for music students at Tennessee State University and Belmont University in Nashville. Getting the opportunity to hear boys between ages 10-18 as they work through the adolescent voice change is a special opportunity for teachers-in-training. The boys make this instruction “come alive,” and they always do a wonderful job representing our organization and our community. Members of the Mozart and Schubert training choirs will be presenting programs at Dupont Elementary, Hixson Elementary, and Orchard Knob Elementary in early April. Also in April, eight members of the choir will have the opportunity to perform with the Chattanooga Symphony and Opera's production of Carmen at the Tivoli Theatre. Join the Chattanooga Boys Choir as they kick off the first home game of the season singing the National Anthem. Don't miss the final concert of the spring, with all five ensembles performing. The choir will be honoring its founding director, Caroline Brown, as well as premiering a piece by local composer Sarah Tulluck. 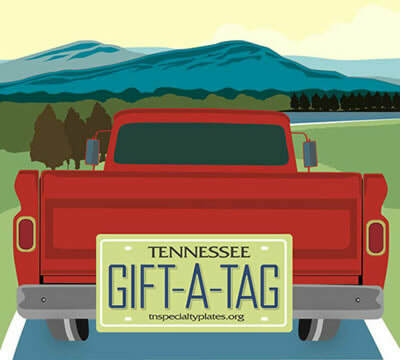 Did you know that you can support the arts with the Tennessee Gift-A-Tag Program by purchasing a voucher for a friend or loved one that they can use to pick out their specialty license plate! GIFT-A-TAG vouchers are $35 and you can buy as many as you want—for your family, friends or treat yourself. Each GIFT-A-TAG is good for the purchase of a Specialty License Plate or the personalization of any license plate. Members of the CBC at the ground breaking of the new Erlanger Children's Hospital with UT coach Butch Jones. In 2017, the Chattanooga Boys Choir hosted a community sing of Ukuthula, a South African call for piece. This event was part of the #AVoice4Peace using song to raise awareness of peace in the community and around the world. Video of the event is included above and can also be found on the CBC FaceBook page. Are you interested in joining the Chattanooga Boys Choir? We meet with families any time during the year and hold Open Houses in April. Click here to learn more about joining the choir.